During my years in the control room putting the Nine Sunday Program to air, inevitably there were mistakes: some more serious than others, usually, though, only the wrong caption name or a misspelling. But inevitably there was an angry outburst from the senior producer of the day that often had a director’s assistant or technical staff in tears. I was reminded of this watching the media conferences of the three Australian ball-tampering cricketers and the coach who realised it was time for him and the team’s culture to go. 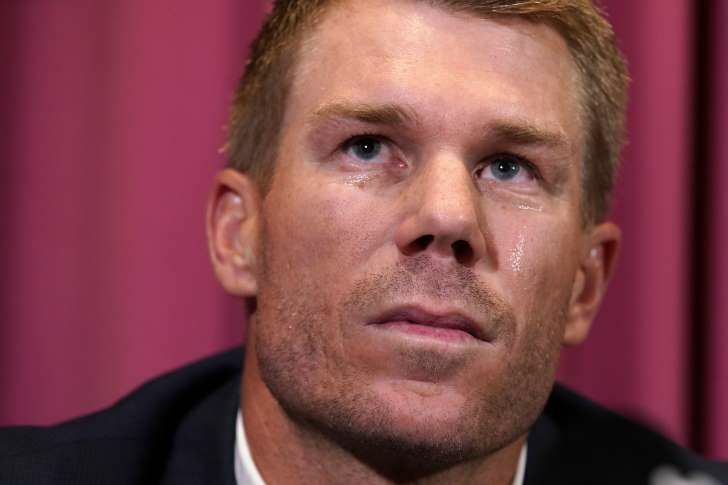 By now, you would know all about ball tampering and how Vice-Captain David Warner allegedly planned the scheme and sent young Cameron Bancroft to carry it out while Captain Steve Smith just let it happen. It didn’t work. It was a trio that couldn’t tamper straight. When the cameras captured Bancroft putting something down his trousers that looked like sticky tape, the umpires questioned the 25-year-old and he admitted it, but lied about the tape. It turned about to be sandpaper, but that revelation came several days later. The cricketing world and the Australian public were baying for the blood of the trio, although more were thought to be involved as Captain Smith mentioned the leadership group was involved. They also assumed Coach Darren Lehmann was in on the plot, so they wanted his blood, too. Enter Cricket Australian CEO James Sutherland, the Prime Minister, former cricket captains and cricketers, columnists and a slew of social media commentators, to name more than a few. The anger and cries of “sack them all” continued to rise. In contrast, I was watching my alma mater, Villanova University, win the national basketball championship yesterday and after the game, Jay Wright, who’s been Nova coach for 17 years, talked about being “authentic” and how far it can carry you. ESPN Sports commentator Jay Bilas said the word “authentic” and “Attitude,” which is the title of Jay Wright’s book, summed up the Villanova culture. “They’re going to be about each other. They play hard, they play together, they play with a great level of toughness, and it’s about us, it’s not about any one individual.” Are you listening, Cricket Australia? Three days later, the tamper trio came back to Australia, with 12-month bans for Smith and Warner and nine months for Bancroft. 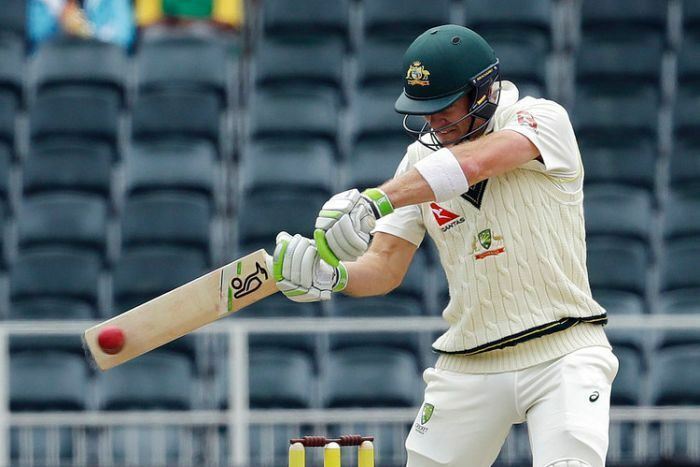 Smith could try for leadership in two years, but Warner was banned forever. Update: All three cricketers accepted the sanctions imposed on them by Cricket Australia. The scene was set for apologies: Bancroft was first up at a press conference in Perth: “I want to say that I’m very sorry. I love the game of cricket and playing for my state and my country — there is no greater pride for me. Not a second has gone by when I wish I could turn back time. I’m very disappointed and I regret my actions. It is something I will regret for the rest of my life. All I can do is ask for forgiveness.” He broke down and cried. Wait for it. “Mr Kelly came away from the conference with the sense that Warner was most concerned about himself and his future cricketing career.” It might have been selfish, but is that a crime? If I may digress slightly in this long-form piece, I should explain how I came to love cricket and why I am upset about the Tamper Crisis. My love for cricket was gradual. I decided as an American in Australia who was probably going to live here for the rest of his life, and become a citizen of this country, I had to learn more about two things: cricket and horseracing. The latter is another story, but my cricket start is simple. In 1975, I asked a friend and colleague at News Ltd, deputy sports editor, John Swords, if he could teach me a bit about the code that captured the nation. He took me and a slab of beer cans, three-quarters full, to the SCG on the first day of the Fourth Ashes Test between England and Australia in 1975 (you were allowed to bring beer in those days). We went to the lower Brewongle Stand next to the Hill, where there were plenty of seats, but also room to move between the stand and the famous ground next to it. John said I could ask any questions I liked, and I was able to sledge the then English bowler with the South African accent, Tony Greig. The first snippet of knowledge came from editor Swords who said if the opening batsmen get fifty runs without getting out, we’d be well on our way to victory. The openers were Ian Redpath and Rick McCosker who managed a partnership of 96 before Redpath was bowled (hit wicket) by Fred Titmus. The entire stand heard my Yankee accent, and they started shouting words of Wisden and wisdom. By the end of the day, we had finished most of the beer and I knew a lot more about LBWs, slips and wickets. My love affair with cricket had begun. Tim Paine’s a captain who wants to show sportsmanship and respect to the opposition: “A natural leader,” according to Australian all-rounder Mitch Marsh. Maybe Paine is the unlikely messiah who can lead Australia out of the cultural wilderness. Cricket lovers live in hope. Onya mate! A fair and balanced analysis. It’s only the boil that has burst though. The patient has a fever and needs medication. You talk about the beauty and precision of the sport yet the behaviour of the players has deteriorated to the point that the next stage may as well be full contact. Niggling is part of all sport, be it infield chatter in a baseball game or comments as to your mother’s footwear in a collapsing scrum. The sledging factor however is vicious. No other word for it. And you know who hasn’t been put up for scrutiny? The bloody psychologists and motivators who crank up the adrenalin factor that leads to such behaviour. The advisors to the team need be scrutinised and perhaps a new ethic set in train. I watched a Boston Bruins game the other day and the team’s enforcer, Brad Marchand copped a couple of penalties for boarding and tripping. Part of the game and not cricket, if you’ll forgive the pun, but no hard feelings left on the ice as the pace of the game leads to quick, not always wise reactions. Thanks Mac. I agree. Don Bradman would indeed be turning in his grave. It’s time to change the culture. but advice to emulate the attitude of Jay Wright in an athletic endeavor is well founded. That’s why I am praying that Villanova’s assistant coach becomes LaSalle’s next head coach. Thanks for your comment, Lou. Yes, I thought about cricket jargon and wondered whether I should have explained it to Americans. But the piece was already over 2000 words and I wanted to concentrate on ball tampering. And it took me a year before I understood cricket, and as one of my Facebook friends wrote, “Nobody really understands cricket.” It is a complicated sport. But Cricket Australia is planning to play some matches in the US so it might be worth watching one if they play in Philly. New York and Los Angeles et al have amateur teams composed of expatriates. I also wanted to make the point about Jay Wright’s attitude and leadership as well. I agree with you about Jay, and he’s the sort of coach who would allow his assistant to go to LaSalle if he wanted to. Cheers, Tom.